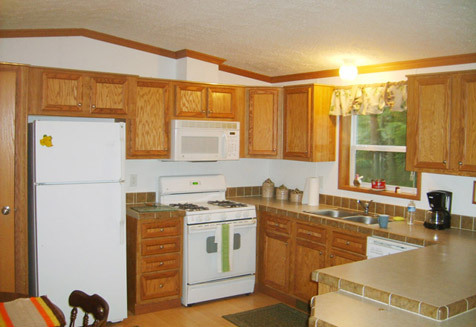 The 2005 Schult Home has a fully equipped kitchen including stove, refrigerator, microwave, coffee pot with complimentary coffee, dishes, utensils, silverware, toaster, table and 4 chairs. Clean and comfortable rooms with full bathroom and shower including towels and bed linens. The living room area includes a sofa sleeper, recliner, chair and satellite TV.